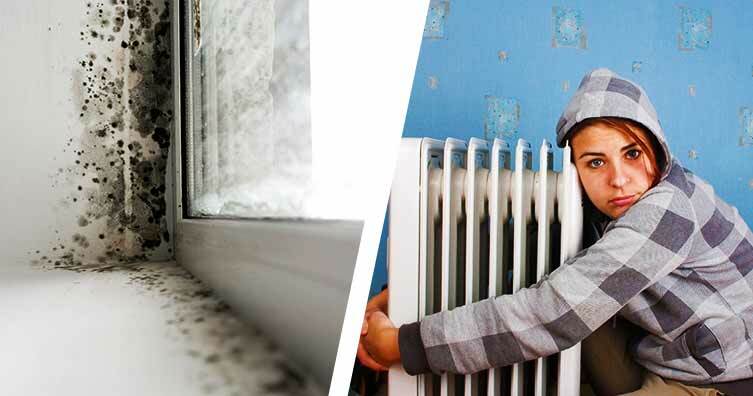 Under new rules that come into force this month, tenants are now able to sue landlords for cold or damp in the properties they are living in. Under the new rules, if a property owner doesn’t carry out the necessary repairs or maintenance, then the occupant has the option to take them to court. And if this happens, a judge can issue an injunction that forces the landlord to carry out the world. According to housing charity Shelter, there are around one million rented homes in the UK that are not currently fit for human habitation meaning that over 2.5 million people are living in unsafe accommodation. Tenants have been left with below quality accommodation partly due to a law in 1985 that made it the responsibility of local councils to investigate the conditions. Due to huge budget cuts, local councils have not been enforcing this rule or only doing it periodically and irregularly. This meant that some unscrupulous landlords were able to allow the condition of the property to deteriorate, without worrying that the local council would pick up on the situation. And leaving tenants in unsafe accommodations. However, from March 20th, the new Homes (Fitness for Human Habitation) Act will change the 1985 legislation and make sure that landlords are more accountable for the homes that they own and the conditions they offer. Shelter said that the bill will help private and social renters whose voices have not been heard under the current situation. Instead, landlords have been able to lower the quality of properties and not have to worry about repercussions. Under the new rules, landlords will have to ensure properties meet a particular standard at the start of the tenancy but also during the course of it. The new rules will also for the first time includes problems caused by defective design rather than disrepair. This can include things like poor ventilation or infestations of vermin or insects. There is also a clause known as the ‘Grenfell clause’ that allows tenants to take action over common areas in shared buildings. The new act with empower all types of renders to have the ability to tackle poor quality homes and this is why charities like Shelter campaigned so hard for the changes. How quickly should work be done? The question of how quickly work should be done is one that renters should understand. The time frame recommended revolves around the severity of the problem. For example, landlords associations say that if there is a ‘significant risk of danger to the health, safety or security of a tenant’ then the landlord needs to resolve the issue within 24 hours. They have three working days to resolve problems that ‘materially affect the comfort or convenience’ of tenants and up to 28 days for other, less urgent repairs. According to figures from Citizens Advice, there have been 1.85 million tenants who have had problems in the last four years in a rented property where the landlord has not met these time scales. The new rules will add a legal option for tenants to use if the repairs aren’t done in a timely manner. The problem is also so important because there are more families and couples renting properties than ever before. That means more protection and security is needed for these people. The new act will create a best practice for landlords and agents to follow as well as acting as a deterrent for bad behaviour and avoiding maintenance responsibilities. It also gives a clear legal option for renters to follow if landlords are failing. While the number of people who rent is at an all-time high, the laws have remained quite lax on landlords, meaning renters had few rules that protected them until this new law was brought into force.